Luks was an American realist, an illustrator and genre painter. 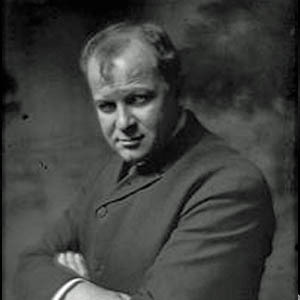 George Luks was included in the exhibition of “The Eight”, which occurred in January 1908, and was one of the most important events in the development of twentieth-century American art. The rejection of one of Luks’s paintings from the 1907 exhibition of the National Academy of Design was one of the causes for the formation and exhibition of “The Eight” in 1908. Robert Henri, the ringleader of “The Eight” encouraged artists to give the viewer the sense of being there, so in a sense, Henri influenced Luks, whether Luks would admit it or not. 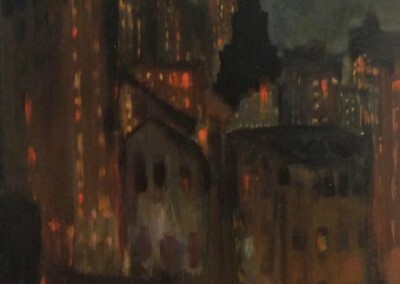 The other six artists that completed “The Eight” were: Arthur B. Davies, William Glackens, John Sloan, Ernest Lawson, Everett Shinn and Maurice Prendergast. Luks made many paintings of working class subjects and scenes of the urban street. 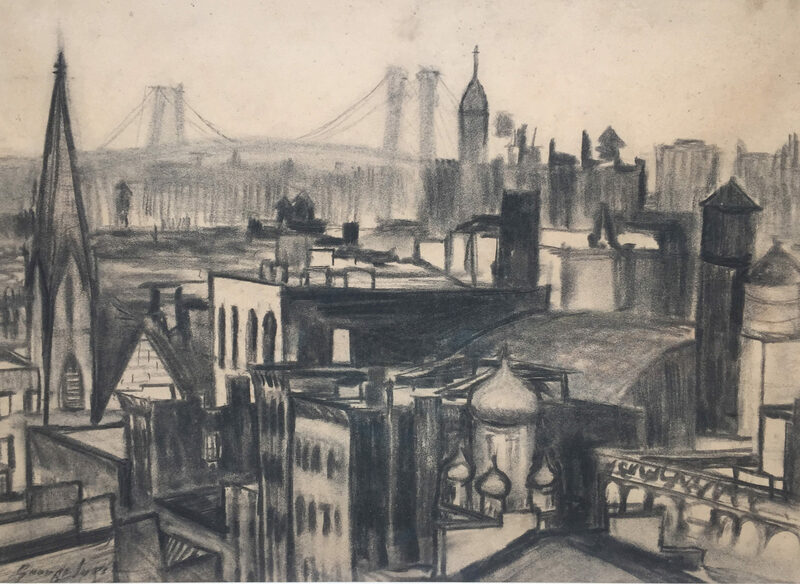 The loose brush strokes seen in Luks’s work is associated with the Ashcan School as well as since the realists work was often associated with capturing a moment in time, unlike the modernists that were more concerned with form and capturing the experience in its entirety. 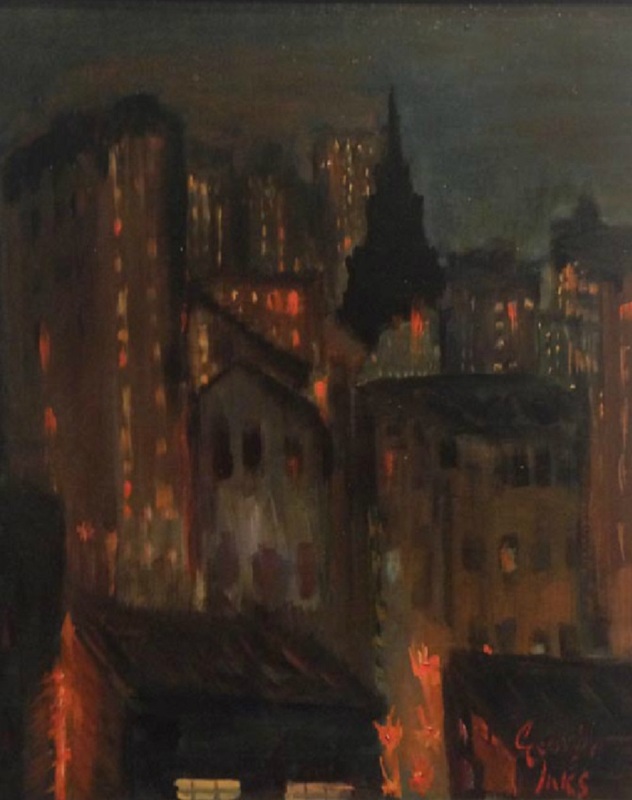 Although Luks is most well known for his depictions of New York City life, he also created landscapes the city provided. His visual perception was tremendously fine and truly emphasized character through the use of his vivid color. His work is in many important private and public collections, including the Museum of Fine Arts, Boston, the Smithsonian, the Art Institute of Chicago, and the Dallas Museum of Art.